Fans Are Going NUTS Over This Free Sticker from Up-And-Coming Company! Are you a fan of Fish Hippie clothing, wine, and accessories? If so, you can make sure everyone knows that you like their products with this freebie offer! Right now, you can get FREE stickers from Fish Hippie. There are four different nautical stickers you could receive. You could receive a fish shaped sticker like the one shown above, a round sticker that reads ‘drift off course’, a boat shaped sticker, or a round sticker that reads ‘fish hippie outdoor co.’ You can place your stickers on any smooth surface and display your love of this hippie brand! These are durable stickers that will not fall off or peel off easily. Getting your FREE fish sticker from F.H. is super simple. All you have to do is fill out the brief sticker request form on the F.H. official website and submit your request. Be sure to enter your name, your email address, and your mailing address. Then, you should receive your FREE stickers right in your mailbox within 3 to 4 weeks time. Be sure to take advantage of this awesome freebie offer before it disappears for good! Hot freebie offers like this never seem to ‘stick’ around for very long (no pun intended). Trump Supporters Are Flipping Out Over This – Free Stickers From Republicans Against Trump! People who support Donald Trump for president are up in arms over this freebie offer! What is it? 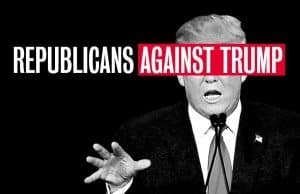 It’s a Republicans Against Trump sticker offer that you can currently request for FREE. In order to get these anti-Donald Trump FREE stickers, you must fill out a form and take a pledge indicating that you do not feel Donald Trump is fit to be president of the United States, and that he does not represent your beliefs and values as a republican and an American citizen. When you indicate that you do not plan to vote for or support him, you will receive your FREE sticker in the mail within several weeks. You will need to provide your name, mailing address, and email address in order to take advantage of this freebie offer. 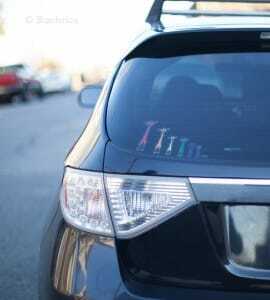 Now the question is, where will you put your anti-Trump sticker? Be prepared, as it will likely stir up some conversation (maybe positive conversation or possible not so good conversation)! You should be prepared for anything if you boldly display your Republicans Against Trump in a public place! If you want this FREE sticker offer, be sure to take advantage of it while you still can as quantities are limited. If you like supreme court justice Ruth Bader Ginsburg and want to show your support, request these ‘Ruth Is The Truth’ FREE stickers from EndCitizensUnited.Org. 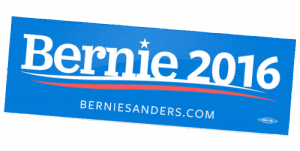 To get your sticker in the mail, just complete the freebie request form. No purchase or donation is necessary, although you can make a donation if you want to! FREE Stickers And Ping Pong Balls From BigWords.Com! You can currently request FREE stickers and ping pong balls from BigWords.com. To get your freebies, search for books on BigWords. Then, run a price comparison on the website. Next, click on ‘best combination’ or ‘best store’ (you do not have to buy anything!) Finally, click on the ‘FREE stickers‘ button on the to-do list. Submit your request for the stickers and your freebies will be on their way. Chaco fans! Do you want to show your love for Chaco products? 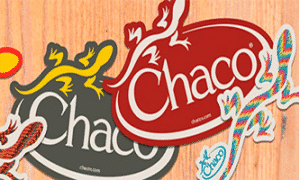 If so, you can request FREE stickers from Chaco. You will receive a lizard sticker and/or a Chaco lizard sticker. Just fill in your mailing information and submit your request. You should receive your stickers in a few weeks. This offer is open to United States citizens only. Would you like some FREE stickers? If your answer is yes, you can request your FREE stickers from Luxley and Bernard just by entering your mailing information! 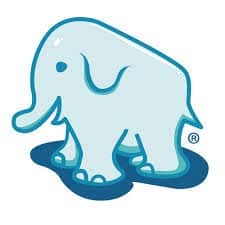 When you submit your information, they will send you some really cute elephant stickers in the mail. Hurry, request your stickers before they run out of supplies! Want GoPro stickers to compliment your great GoPro gear? Well now you can get FREE GoPro stickers! From versatile and powerful cameras to mounts and accessories for just about any activity, GoPro makes it easy to capture and share your life like never before. So show off your gear with GoPro stickers. Head over here, fill out the short form, and get free stickers!